Mastery Under Glass begins with the seed. 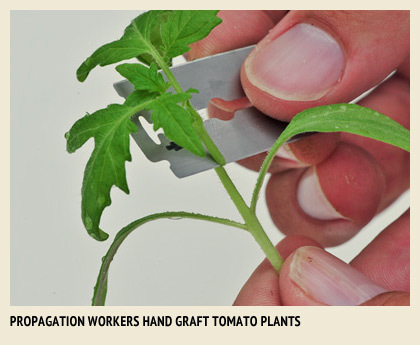 Our desire to maintain as much control as possible from the selection of seeds all the way to harvest led to the establishment of a tomato and cucumber propagation operation in Delta, British Columbia. It did not take long for our reputation for nurturing the best seedlings spread to other growers in the North American greenhouse industry. Today, Houweling’s state of the art Delta propagation facility supplies some of the industry’s premium growers with starter plants of tomatoes, cucumbers, peppers, and eggplant. 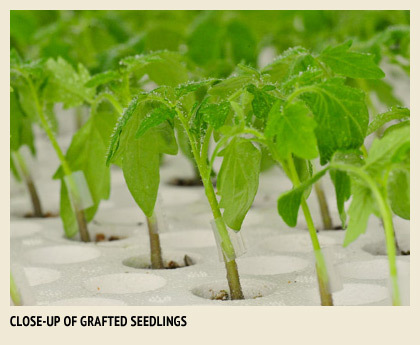 Like everything we do, systematized processes, strict testing procedures, and craftsman’s care are followed from germination to the grafting and shipping of these starter plants to satisfied customers throughout Canada and the United States.